..who's about to go on an extraordinary adventure! Prepare for the adventure of a lifetime! In 'Suitcase Simulator', you play the role of Alan - a young suitcase who has fallen out of the cargo hold of a plane - who must make it back to his home before his owners come back from their holiday. Discover how the actions of one suitcase lead to an all-out war between demons and humans and how that suitcase must stop the war before anyone else is killed. And find out more about the mysterious Stone of Amala and the powers hidden within it. Intense one on one battles between demons and a suitcase. An enthralling and heartwarming story of a suitcase. Online suitcase battling (soon after release). Extreme battle mode, in which the suitcase must team up with other suitcases around the globe to fight deadly bosses (soon after release). This is not a game to be missed! "I've Seen The Darkness" revealed. I have revealed the ending song to "Suitcase Simulator: Fully Packed", titled "I've Seen The Darkness". Please leave any feedback in the comments to the video either on this IndieDB page or on the youtube video containing the song. Due to a technical error the game has become postponed indefinitely. 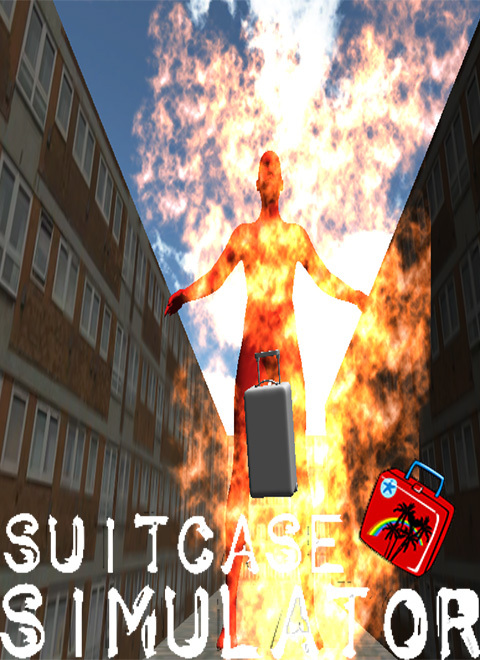 Three-part prequel coming before Suitcase Simulator: Fully Packed! The official name of the game has been altered. Also, a style change incoming. We've Hit The Top 250! 'Suitcase Simulator' (rated #237 at the time of writing) has reached the top 250 most popular games! where is the first release? I want this game NOW! Please make this a thing, For all those people who've always wanted to be suitcases.